FREMONT, CA, February 1st, 2018 - CORSAIR®, a world leader in PC gaming peripherals and enthusiast components, today announced the launch of the new CORSAIR T2 ROAD WARRIOR gaming chair, as well a new version of the CORSAIR T1 RACE gaming chair, updated for 2018. Created for comfort, no matter how long you play, the T2 ROAD WARRIOR boasts a wide seat, tall back, and deep cushion that supports you through the most demanding gaming sessions. The new T2 ROAD WARRIOR and T1 RACE Gaming Chairs are available immediately from the CORSAIR worldwide network of authorized retailers and distributors as well as direct from the www.corsair.com webstore. The T2 ROAD WARRIOR and T1 RACE Gaming Chairs are backed by a two-year warranty and the CORSAIR worldwide customer service and technical support network. In the UK the T2 ROAD WARRIOR has an MSRP of £399.99 (inc. V.A.T.). The T1 RACE has an MSRP of £349.99 (inc. V.A.T.). 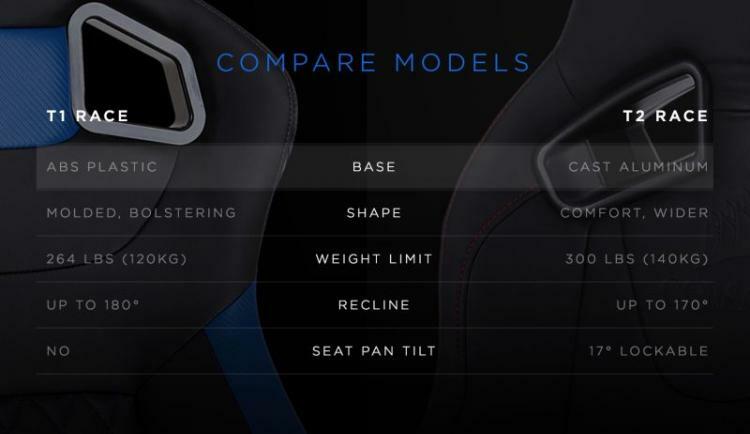 More information on both models is available at http://www.corsair.com/en-gb/landing/gaming-chairs.